When you know the law, you can prevent employee lawsuits. It really is that simple. 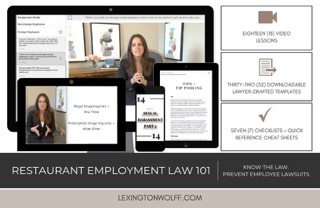 Wolff created Restaurant Employment Law 101 – a digital multimedia compliance kit that provides owners and operators across the country with the tools they need to keep on the legal straight and narrow. 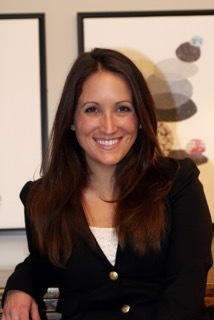 In addition to breaking down legal obligations, Restaurant Employment Law 101 comes with a variety of tools to satisfy those obligations, like step-by-step directions to handle sexual harassment complaints and disability accommodation requests, and downloadable templates on everything from handbook policies to notice and consent forms. In addition to the obvious risk prevention benefits, Wolff said that employment law compliance brings an additional, valuable advantage as well – happier employees. For additional information, visit Lexingtonwolff.com.